With 331 fully appointed guest rooms and suites, Breezes Curaçao Resort, Spa & Casino is Curaçao's largest vacation property as well as its only Super-Inclusive resort. Given its convenient location just two miles from Willemstad, a UNESCO World Heritage site, adventurers can opt for off-property excursions and explore the island's historical, business and cultural capital. On property, guests can unwind on pristine white-sand beaches, take a free introductory scuba-diving course, fly high with trapeze lessons and much more. Named one of the top 10 Caribbean resorts for families by Child magazine, kids can join treasure hunts, attend circus workshops and build sand castles with their peers. 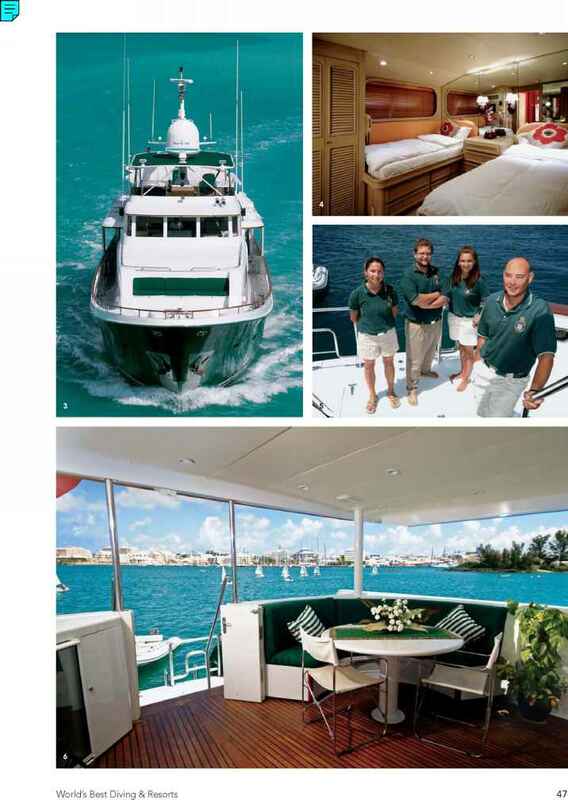 The Super All-Inclusive package includes accommodations, meals, unlimited premium-brand drinks, all land and water-sports activities with equipment and instruction, recreational activities, entertainment, weddings (couples are responsible for necessary legal fees), airport transfers, hotel taxes and even tips. hot dogs on the beach. The snack bar offers light snacks and refreshments for little ones. In addition, guests can golf and play squash at the nearby Curaçao Golf & Squash Club for additional cost. 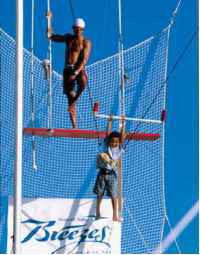 A wide selection of land and water activities includes professional circus workshops featuring flying and swinging trapeze, trampoline and juggling clinics, a skating rink, Curaçao's only ice-skating rink and a 30-foot-tall rock-climbing wall. Water-sports facilities include a private beach, three swimming pools — a misting pool, a children's pool with water slide and an adults' pool with swim-up bar—and windsurfing. 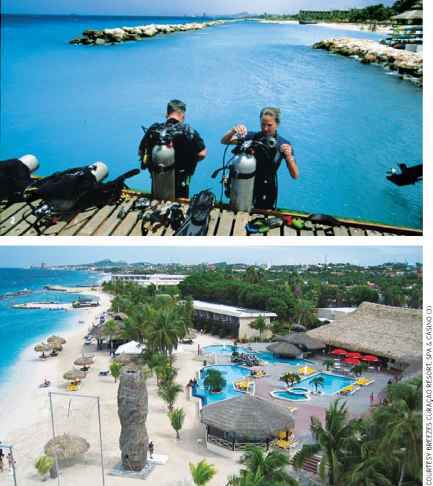 You can enjoy the best diving in Curaçao with their PADI 5-Star Gold Palm dive operator, Ocean Encounters. With a fleet of five boats, they provide daily morning and afternoon dives and courses at all levels from beginners to instructors.